business Visa credit cards and debit cards are popular because they can be used to make payments at most businesses for both online and in-store purchases. While 67 percent of business owners have Business Visas or other business credit cards, only 24 percent report that they use their cards as their primary method of payment. Businesses that have business Visas are more likely to use them for flexibility and convenience than to finance their companies. There is an outstanding credit balance on business Visas and other business credit cards of $50 billion, which is less than 8 percent of the total amount that is outstanding on general purpose credit cards. According to a survey that was conducted by TSYS, 44 percent of people said that they preferred debit cards, 33 percent preferred credit cards and 12 percent preferred cash for making payments. Businesses are also turning to cashless payment methods, including business Visas. Within five years, 69 percent of businesses reported that they expected that they would be making their payments with business Visas or other business credit cards. An additional 56 percent reported that they expected that they would make their payments with business Visa debit cards or other business debit cards within five years. The trend for both businesses and consumers is to move to increasingly cashless systems to make purchases and payments. What is a business Visa card? A business Visa card is a business Visa that can be used by companies to make payments or purchases. Business Visas have 16-digit card numbers and can be used at any company that accepts business Visa cards. The cards can either be Visa business debit cards or credit cards. Businesses can give business Visas to their employees to use so that they can make purchases for their employers. This can help to give more flexibility to spend so that your business can pay for the items that it needs when they are needed. Business Visas may also offer different features that address different business needs such as spending controls and expense management tools. How does a Visa business credit card work? Like other credit cards, Visa business credit cards depend on your credit. When a business applies for a business Visa that is a credit card, most card issuers check the credit of the business and the business owner. If you are approved for a business credit card, you can use the card to make purchases or payments. When you or your employees use the card, you will be using funds from a linked revolving credit line. The money that is spent will need to be repaid, and you may be charged a high rate of interest. Creditcards.com reports that the average interest rate for business credit cards is currently 14.59 percent. How can business Visa cards help grow my business? Business Visas can encourage the growth of your business. When you give them to your employees to use to make payments for your business, you can start building your business’s credit and reputation. Paying everything on time can engender goodwill of suppliers and vendors and result in added perks. Some business Visas also allow you to transfer transaction data directly into your accounting software. This can help you to save money on your expenses so that you can track the spending at your company better. Finally, using business visas can help you to reduce losses that are caused by waste or fraud. Visa credit cards are important tools for businesses. They can allow businesses to get rid of the processes and costs that are involved with reimbursements. When you give your employees business Visas to use, they can make day-to-day purchases for your business without going through a lengthy approval process. Using the business credit or debit cards can also help you to keep your personal spending separate from your business spending. This can make tax time much easier and help you and your accountant to identify deductions for which your business might be eligible. However, credit cards have risks that might make you want to consider a Visa business debit card instead. Who benefits the most from a Visa business debit card? Businesses of all sizes can benefit from Visa business debit cards, but small businesses may derive the greatest benefits. Many small businesses do not have enough funds to have full internal accounting departments. When they switch their payment processes to business Visas, it can make it easier and safer to track and control employee expenses. Using a debit card to make purchases will also not add to a company’s level of debt, making debit cards an ideal choice for small businesses who want to avoid taking on too much of it. Business owners may also limit the types of spending that each employee is allowed to complete with his or her card. The Bento for Business Visa debit card is not a credit card, so approval does not depend on your credit score or that of your business. You fund the cards from your deposit account. When your employees use the cards to buy things for your business, the purchase prices are subtracted from the money that you have placed on the card. Credit cards for businesses require credit checks, and they may be harder for some small business owners to get. Business owners who have marks on their credit and businesses that have been open for fewer than five years may have trouble gaining approval. Credit cards are linked to revolving lines of credit, meaning that the card issuer loans money to you to pay for the purchase. You can be charged interest on any balances that you carry on the cards and may also have to pay an annual fee. Visa cards can help your business to lower its risk of fraud. Small businesses are frequently victimized by internal and external thefts. The debit cards from Bento come with robust spending controls, and your employees can’t use them to access your money. You can also place limitations on each card for what can be purchased and set the spending limits by different intervals. To check your company’s risk of fraud, you should use our free fraud calculator. You simply answer a number of questions, and we will calculate the risks that you have so that you can take steps to minimize your risks. Fraud case studies help to illustrate the importance of taking steps to mitigate your risk of fraud. In one case that happened in Bryan, Texas, four people were arrested for stealing $255,000 from a drilling company by making fraudulent business credit card charges. Sheila Okonski, the 54-year-old girlfriend of 37-year-old Edwin Holland, reportedly made numerous unauthorized purchases by using the company credit card that had been issued to him. Another man who also worked at the company made fraudulent charges. Holland was arrested for paying for more than a dozen U-Haul rentals with the credit card. The woman’s son, Chance Okonski, paid a court fine with the card. The four made the charges over a period of time dating back to 2011 and had reportedly altered the credit card statements. The business debit cards from Bento have several built-in tools to help to mitigate your fraud risk. You choose how much money to place on each card and can limit what your employees can purchase. For instance, you can allow one employee who needs to drive for work to purchase fuel at the pump. If the worker tried to purchase anyhing else, the attempt would be declined. Your employees can also not access the funds in your account with their cards, and outside thieves likewise cannot gain access to your account if they steal the card numbers. When you switch to the cards, you can also get rid of petty cash and reimbursement forms, both of which are frequently used to commit fraud. With most business credit cards, you are not able to shut down an individual employee’s card remotely or to see transactions in real time. The Bento card allows you to do both of these things. You can see the transactions that have been completed by logging into your secure dashboard on your mobile device. If you see that a worker who has a gas-only card tried to purchase dinner at a restaurant, you can turn his or her card off remotely by clicking a button. You can also turn off a card that has been lost. The ability to turn a card off instantly also means that you don’t have to worry about retrieving a card after an employee has ended his or her employment. Another issue that businesses commonly face is an inability to control where employees are able to spend the businesses’ money and the amount that they can spend. Employees might be able to spend up to the credit limit on a credit card, for instance. Bento cards give you substantial control over the places where your employees can spend your money and how much they can spend. You can limit a card to only being able to make purchases at a specific supplier, for example. You can also set spending limits for each employee by the day, week or month. Expense reimbursement is an area that can cause your business to lose money. If you have an expense reimbursement system at your business, your employees may use their own money to buy things for your company. The employees then submit reimbursement request forms together with receipts and wait for reimbursement. Some employees may submit personal expenses and claim that they were for the business. Others may become resentful if it takes too long for them to be reimbursed. With the debit cards, you can give your employees cards that they can use to make day-to-day purchases for your business. When the employees have cards to use, they do not need to pay for items out of their pockets. Strong expense management can help you to control your business spending and to prevent fraud at your company. It is important for you to use the best practices for expense management. You should have a good expense policy in place and clearly communicate what types of purchases are allowed and which are not. Using Bento for Business Visa debit cards can also help to manage your expenses. The cards can help you to track the spending across departments and reduce the workload for all of the departments. 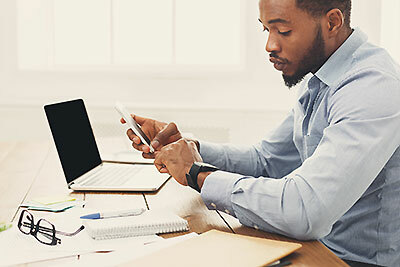 Transaction data can be uploaded automatically into your software, and your employees can take pictures of the receipts so that they are attached electronically. How do I get a Visa business credit card or debit card? You can search for Visa cards online and compare the features that are offered by the different cards. Choose a Visa debit card from a company that has great reviews. For example, Bento for Business has a perfect rating of five stars out of five on Capterra. After you have completed your research, you can apply for the cards online. The Bento application process takes about a minute, and your credit will not be checked. You can choose the number of cards that you need for your employees. To visualize how the Bento for Business Visa cards might be used by your company, think about your own employees and what they might need to purchase. For example, you might give John, a roofing employee, a card that has a $500 limit that he can spend to buy roofing materials from a local building store. You could give Susan, your office manager, a card with an $800 limit to pay the office lease payment. If John tries to use his card to buy groceries, the card will be declined. If Susan tries to use her card to eat out at a restaurant, her card will be declined. When you log onto your dashboard, you will see the attempts and can turn off the cards instantly. 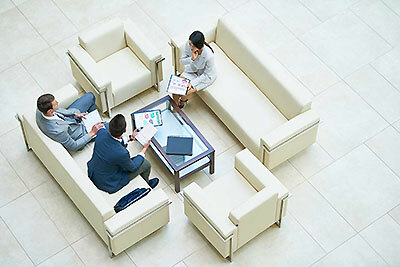 Bento for Business is a company that was built by experienced financial services professionals. 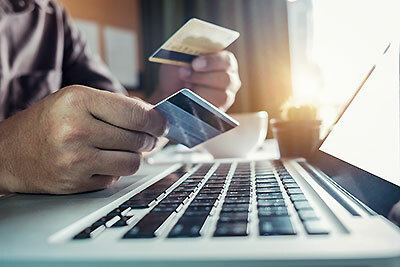 The company offers debit card solutions to businesses across the U.S. that help them to manage their expenses and to mitigate the risk of fraud. Bento is a trusted partner of thousands of satisfied business customers and consistently has great user reviews. You can start a free 60-day trial to try the Bento cards yourself or call us at 866.220.8455 to learn more. You can also watch the cards in action with your personalized live demo.